Television Centre has launched a competition for local school children to come up with exciting designs for part of our new hoarding, which will run along Hammersmith Park. 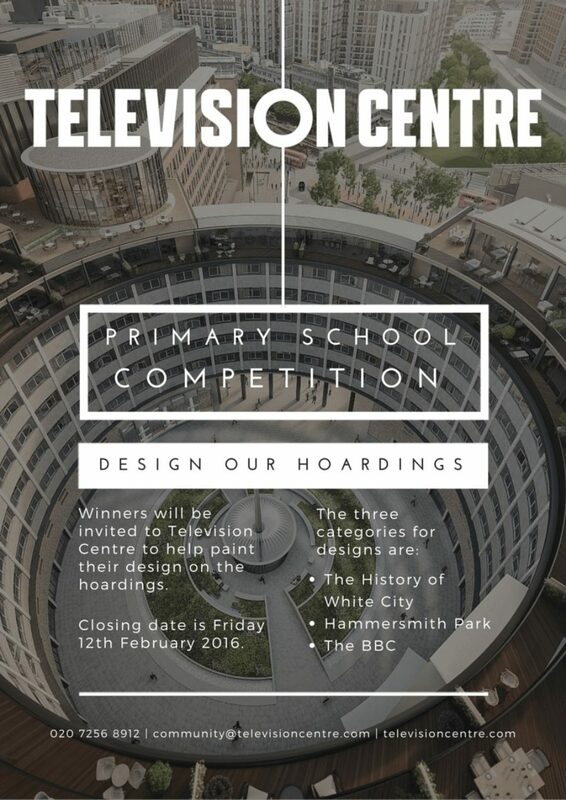 Winners of the competition will have the chance to paint their designs on the Television Centre hoarding, exhibiting their work to the local residents of White City. Graffiti artists from a local charity will be on hand to teach the local school children some fun new skills and help paint their designs onto the hoarding. One winner from each category will be chosen by the Television Centre team in February and invited to visit the site in March. Schools are encouraged to submit as many designs as they like and the name of the winning school will be included on the hoarding.